Before the ‘great recession’ began in 2007 males were disproportionately represented in most industries. They were also the hardest hit during the downturn, with their higher salaries often putting them first in the line of fire. It is speculated that when the economy recovers 1 in 6 men who are 25 to 54 will not be working, and it will be women who run the workforce. • Two thirds of the breadwinners or co-breadwinners in American households are women. 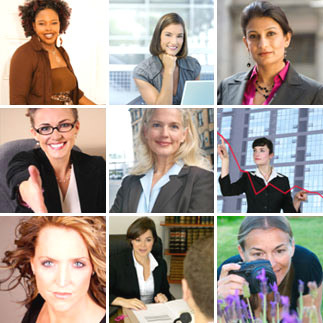 • In the European Union, women filled 75 percent of the 8 million new jobs created since 2000. • American women are responsible for 83 percent of all consumer purchases; they hold 89 percent of U.S. bank accounts, 51 percent of all personal wealth, and are worth more than $5 trillion in consumer spending power— a sum larger than the entire Japanese economy. • On a global level, women are the biggest emerging market in the history of the planet-more than twice the size of India and China combined. It’s a seismic change, and by all indications it will continue. • Of the 15 job categories expected to grow the most in the next decade, all but 2 are filled primarily by women. • It’s women, not men, who are starting businesses on their own, so it will be women, not men, who will one day employ a majority of workers. • Between 1997 and 2002, female-led firms grew by nearly 20 percent, while overall firms grew by just 7 percent. • By 2005, women represented more than a third of people involved in entrepreneurial activity, and the number of women-owned firms continues to grow at twice the rate of all U.S. firms. • Indeed, it’s not a leap to say that female entrepreneurship may help revive the fortunes of the middle class in the developed world. • Education levels among women have vastly improved from where they were even 10 years ago. In the United States women outnumber men in the attainment of college degrees by 20 percent, as well as graduate and law diplomas and 72 percent of high-school valedictorians were women last year. • The same is true in many developing nations. In Brazil, the United Arab Emirates, and Russia, the vast majority of college graduates are female. It is widely predicted that we may well be moving into a matriarchal society, and if so, everything in the way our lives and businesses are run will change!